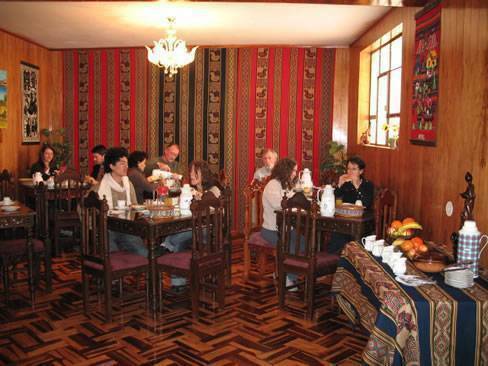 Property Angola is a modern colonial style Property located in the historical centre of the city of Puno just few blocks from Plaza de Armas. All our rooms count with: Private bathroom with Hot / Cold Water 24 hrs, Hair Dryer, Heating system thermostat, telephone, Telephone book, TV. Our Aim: To offer the best rooms; warm rooms of fine veneering wood with Peruvian colonial-style decoration and fine carving furniture. Besides being spacious they are also warm and lit up rooms with comfortable and fine carpets. An excellent international-class service is offered with the most gentle personalized attention, characterized by the owners’ attention who provide security, confidence and support during your stay; located at two blocks away from the Main Square. 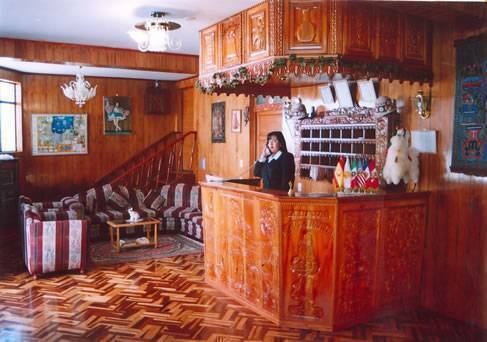 We also offer: Personalized service, Safe-deposit box, Tourist information, Postal service, Baggage Storage, Coffee shop, Room Service, Laundry, Money exchange, Immediate medical assistance, Telephone, Fax, Internet, Reservation and Flight Confirmation, Transfers to the Airport / Bus station, Taxi Service and Private garage. Our Aim: To offer the best rooms; warm rooms of fine veneering wood with Peruvian colonial-style decoration and fine carving furniture. 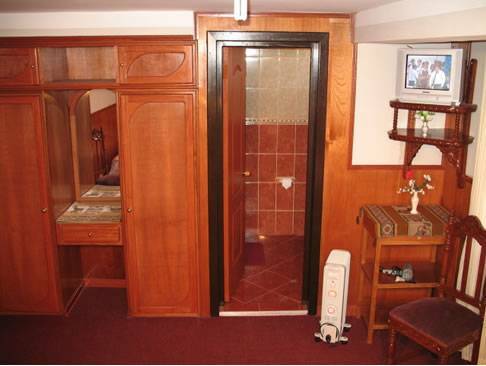 Besides being spacious they are also warm and lit up rooms with comfortable and fine carpets. 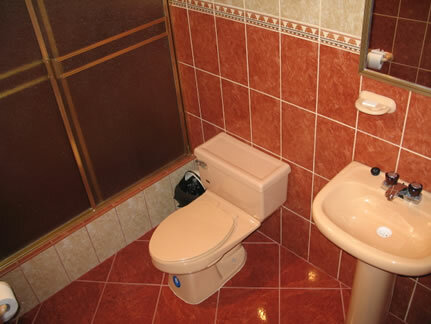 Our Rooms have private bathroom with Hot/cool water. Airdryer, heating, satellit Tv. MARIA ANGOLA Hotel is situated in a historic and turistic area, here are school, stores, restaurants, It is a Residential place. Please note that any cancellations must be notified directly to the hostel at least 48 hours in advance of your scheduled arrival time, otherwise the total of the first nights accommodation will be charged to your credit card. If you cancel any individual night of your reservation, then the deposit for that night will be not be refunded or transferred. 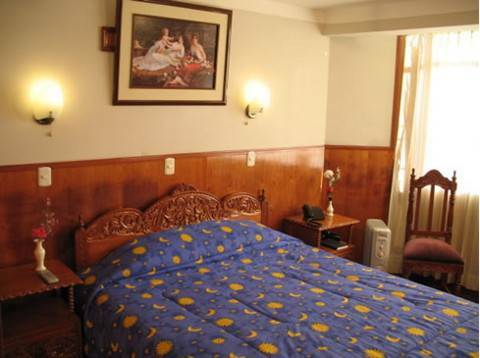 MARIA ANGOLA INN is Located in the Historical centre of the city of Puno just at three small blocks from the Main Street and Main Square (200 meters) It's beside the Cathedral. it is really easy to get to Hotel MARIA ANGOLA in 10 minutes in taxi from the bus and trains station. From the airport to the Hostal from 1 up 4 persons US$ 30. 00; For groups of more than 4 people, a transfer can be organised for a nominal fee. 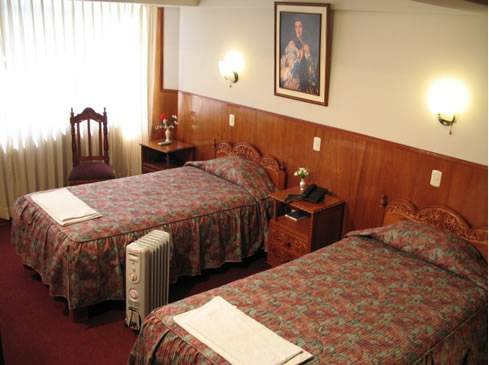 Nearest airport: MAIRA ANGOLA HOTEL is at 45 minutes from the airport Manco Capac de Juliaca.